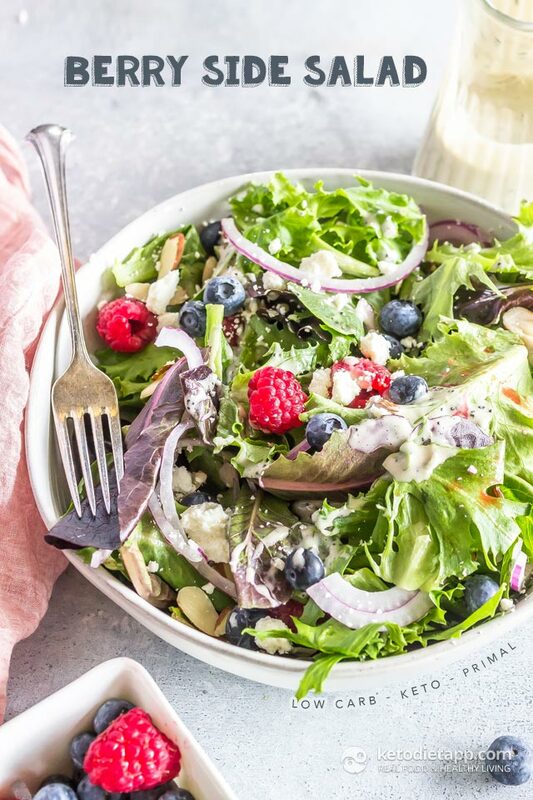 Perfect for summer cookouts or a springtime picnic this low-carb berry side salad is a great side for grilled chicken or salmon. It pairs well with my keto poppy seed dressing, slivered almonds and goat cheese. 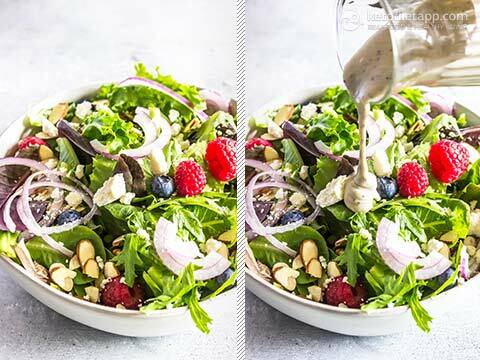 This easy keto-friendly side salad is ready in just a few minutes and the homemade Poppy Seed Dressing can’t be beat! 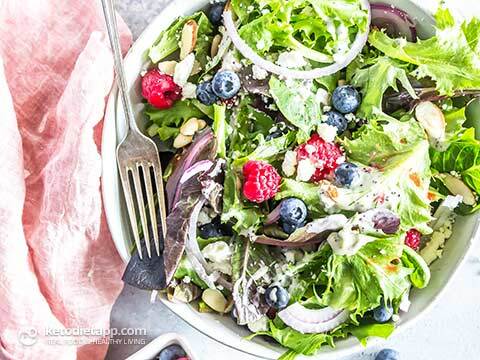 Place the salad greens in a bowl and top with remaining ingredients.